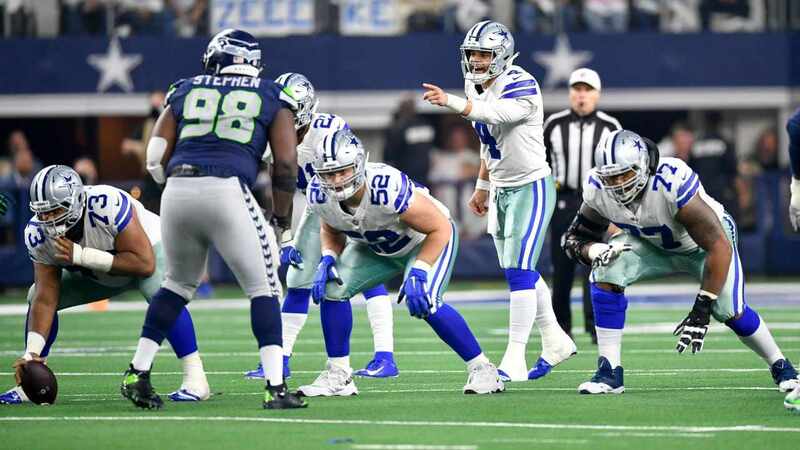 The days of an NFL offseason are comprised majorly of a lot of dollars and cents, and a lot of them are more readily available for the 2017 Dallas Cowboys after restructuring the contracts of Left Tackle Tyron Smith and Center Travis Frederick. The rush of NFL Free Agency is still a few weeks away, but these resources are going to be extremely valuable for America's Team in the blink of an eye. 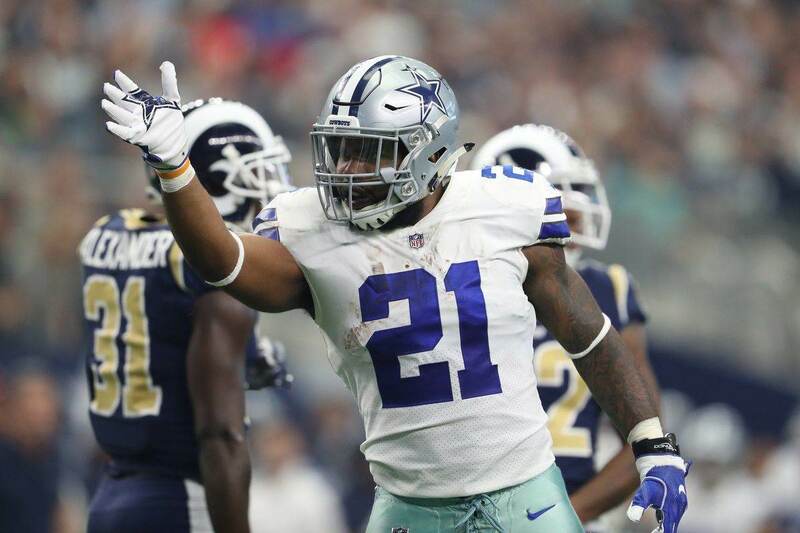 According to the report, the Cowboys converted almost $21 million of the $24 million that was headed Tyron and Travis' way into signing bonuses to alleviate some much-needed cap space. We'll see exactly what the state of the Dallas Cowboys Cap Situation is on March 9th when things get going - the Tony Romo factor is the elephant in the room until then - but this is seemingly the beginning of a few potential restructures this offseason. 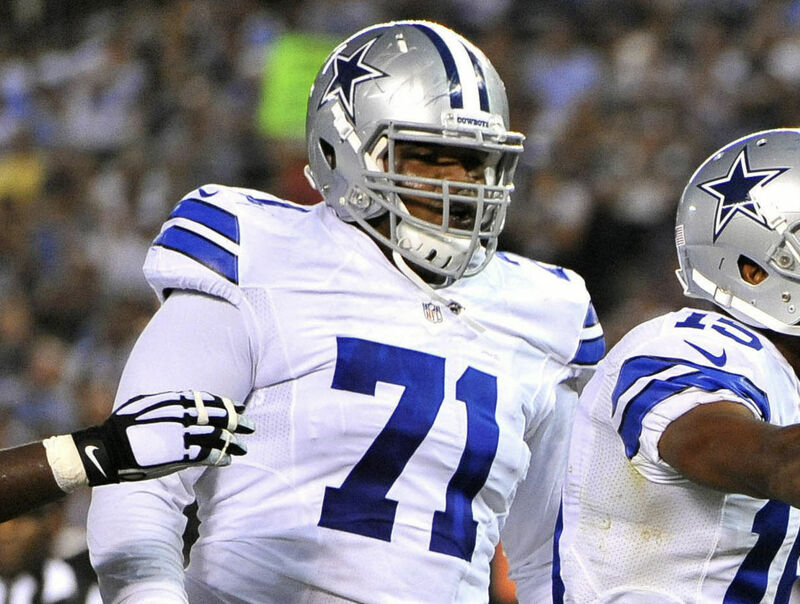 An additional contractual move that'll be made on the offensive line will likely be the long-term extension of Right Guard Zack Martin (most likely around Training Camp time). This type of financial move is often referred to as "going to the well" or "kicking the can down the road" in terms of shrugging financial obligations down the line as a problem to deal with another day, or another year. Whatever the case it's wise to do it with your cornerstone players that you know will be here a while, and both Tyron Smith and Travis Frederick fit that bill. This is how the Dallas Cowboys have handled the salary cap for some time, they have a firm grip on the strategy. Why exactly are the Cowboys trying to create cap space? Who knows, but whatever the reason is you can bet your bottom dollar (assuming you're under the cap yourself) that we'll have you covered here at Inside The Star. Tell us what you think about "Dallas Cowboys Restructure Tyron Smith And Travis Frederick, Free Up Cap Space" in the comments below. You can also email me at RJ.Ochoa@SlantSports.com, or Tweet to me at @RJOchoa! Is TE James Hanna’s Career With The Cowboys Coming To An End?